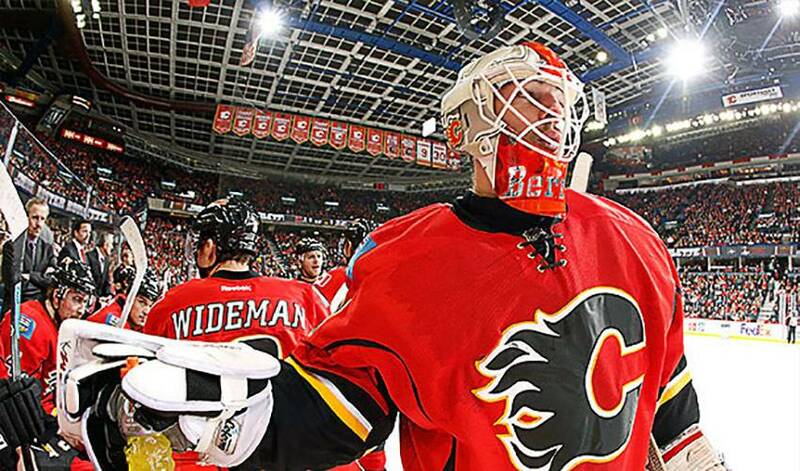 Hockey fans have already dubbed this week’s viral video as the “save of the season”. Only minutes into Wednesday night’s Columbus Blue Jackets vs. Calgary Flames game, Flames goaltender Reto Berra completely robbed Columbus defenseman Jack Johnson of a perfect scoring opportunity on what looked like a lot of open net. In the second it took him to get the shot off his stick, Berra made a split second decision to throw up his leg in an incredible bicycle kick that denied Johnson of the goal and wowed everyone watching.